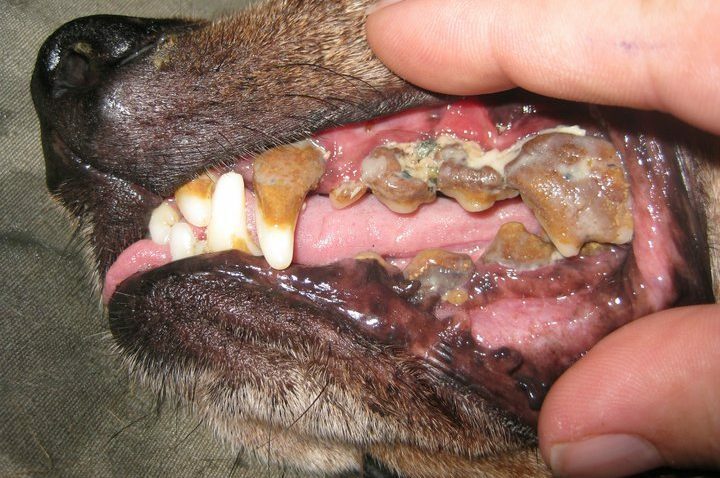 Discovering how to get rid of tartar on dogs teeth can open a can of worms. 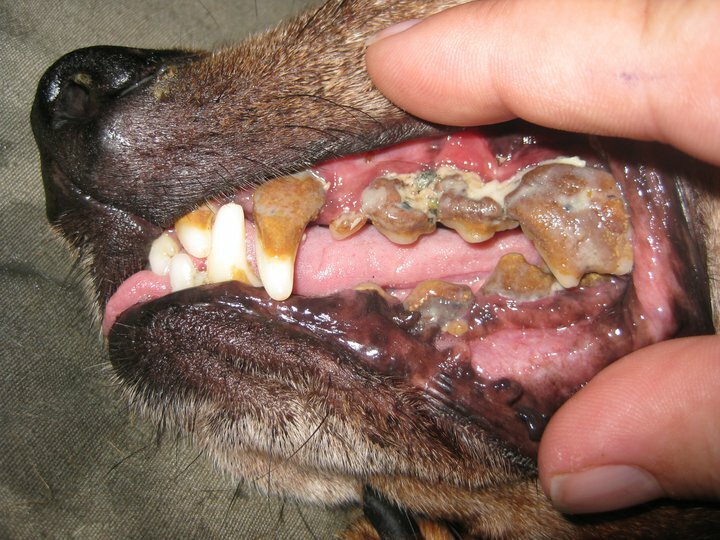 But before exploring this, let’s look at the difference between plaque and tartar, as both build up on dogs teeth. This can then lead to greater problems, so it’s an important subject. Plaque is a soft build up of food debris and dead cells that is deposited on the teeth. It can calcify, or harden. Tartar, also called dental calculus, is formed by calcium carbonate, calcium phosphate and food debris deposited on the teeth by the saliva. So essentially plaque and tartar are the same. In the early stages, the tooth just looks a bit discoloured. But as the deposits grow, they can wedge between the teeth and the gums, forming pockets. Food can collect and rot in these pockets, leading to loosening of the teeth. 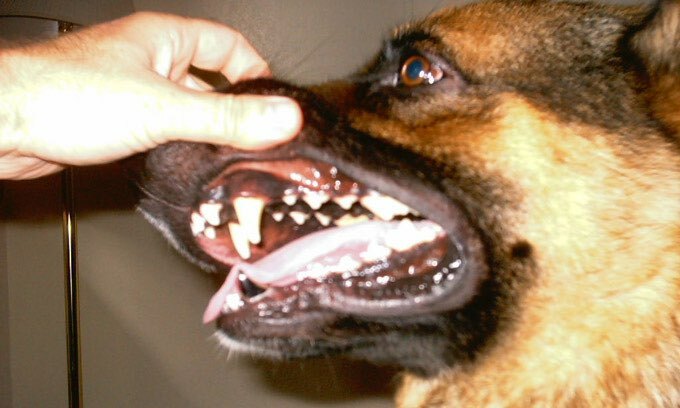 Some dogs will allow you to flick these deposits off their teeth, if you have long and hard fingernails. Other dogs may not be so reasonable. And when the plaque or tartar builds up, it may not be so easy to flick off. The route most people take is to have their vet remove the deposits, usually under a general anaesthetic. This can be a regular and expensive option for you. And the procedure can be traumatic and painful for your dog. Add to that, no anaesthetic is without risk and the odds are beginning to stack up against this. It’s also not unusual for a vet to open the mouth too wide during a dental procedure, leaving a very unhappy dog who may find it too painful to eat. That happened to one of my cats. I had to have a chiro adjust the jaw. This was many years ago, before I knew what I know now. If the plaque or tartar is not too thick, you may be able to clean your dogs teeth with a toothbrush and dog toothpaste. But not all dogs are open to this practice. 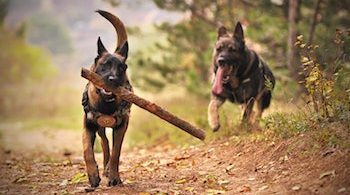 And if you have several dogs, there may not be enough hours in the day to add this in to the daily or weekly jobs. There are all these solutions, but they all seem to have more cons than pros. By far the best, the easiest and the most economical solution lies in getting your dog to clean their own teeth. If the tartar or plaque is not too thick, then it is likely to chip off gradually, over time. Thin plaque will come off much more easily. And if you keep the practice up, there will never be a build up again. 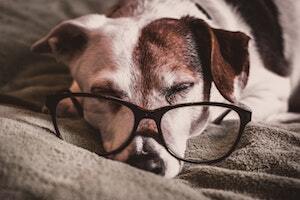 By getting you dog to clean their own teeth, they will remain pearly white and clean all the time. Right into old age. Nice clean teeth, healthy gums. The way a wild dog keeps their teeth clean is to crunch up on the raw bones of their kill. So adopting this practice for your own dog is very beneficial. The different and often unhealthy, breeding of dogs has created a whole host of problems for them. Some have very crowded mouths. Some have different lengths of jaw, making the meeting of teeth impossible. Sometimes the baby teeth don’t fall out. So you need to adjust the size of the bone according to the size of the mouth as well as the structural problems, if any. 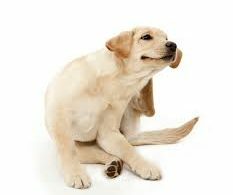 Some people worry about giving bones to dogs, feeling that they will splinter and get lodged in the intestines. This won’t happen with raw bones. After all, if it was a problem for dogs, then they would have died out long ago. However, cooked bones CAN splinter and cause problems. Puppies need lots of raw bones as they grow. They won’t dig up the garden or destroy the furnishings if they have these regularly. So, there you have it. No great expense. No great time factor involved. Follow Nature and let your dog do all the hard work. 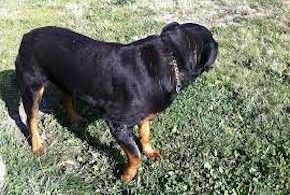 Your biggest problem will probably be accepting that raw bones are the best solution to the question of how to get rid of tartar on dogs teeth. It flies in the face of advice from most vets. 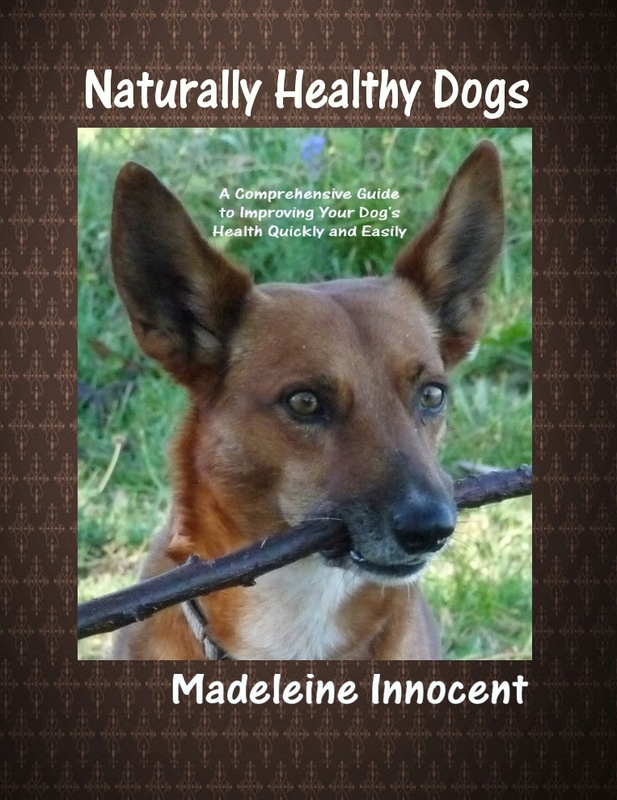 Discover the whole approach to having a healthy, holistic dog.